11.53mm x 22.08mm / 0.454in. x 0.869in. 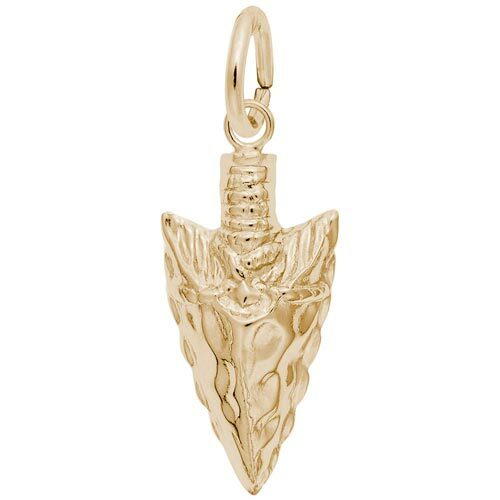 Arrowhead Charm. Arrowhead is open on the back, and the front is texturally detailed with grooves and mounds.